Located in the Central District Business, Novotel Daqing Haofang is only 5 minutes by foot from Sanyong Lake and Qinglongshan Garden. With the City Bus Station just at the hotel front door, enjoy an easy access to famous attractions in the city, which include The Iron Man Wang Jinxi Memorial Museum and Oil Museum. 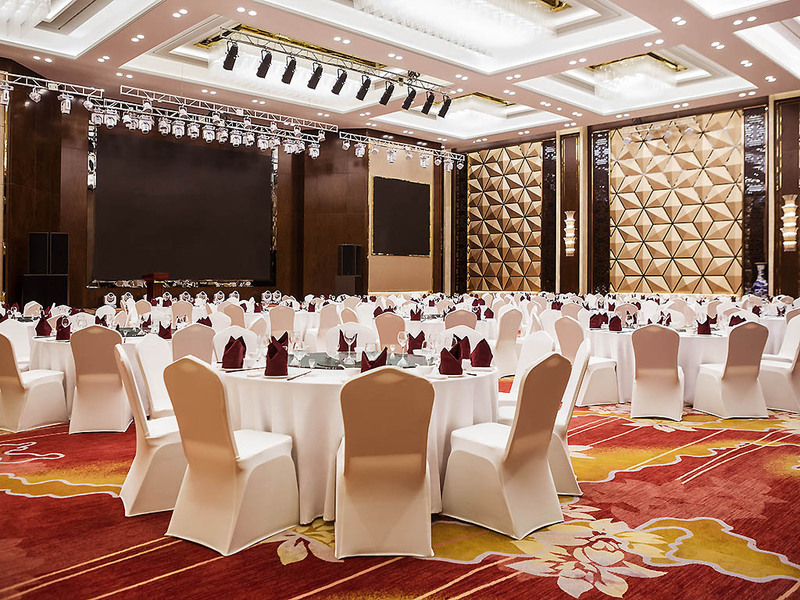 The perfect choice for business and leisure travellers in Daqing. The hotel is only 8 minutes drive away from Daqing East Station. Offering complete business facilities - your best choice for business travel. Located on level 2, our All Day Dining restaurant, The Square, serves International and Asian specialties available via a-la-carte and buffet options. Yuehua Chinese restaurant serves lunch and dinner. It has 13 private rooms and 1 main dining room which can host 168 guests. Located on the main entrance of level 1, the Lobby Bar serves international wines, cocktails, soft drinks, coffee and tea.